We drove through the night on Friday and arrived in Philly around 11am Saturday morning (after taking a train from New Jersey since they weren’t allowing buses into the city). 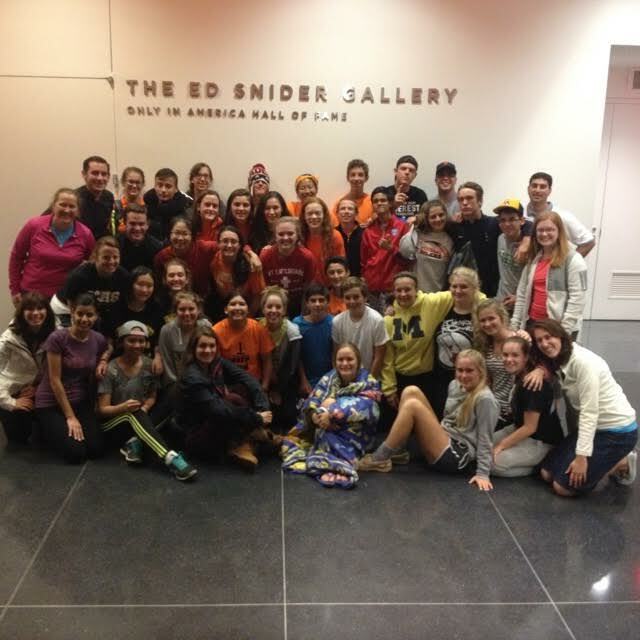 We picked up our pre-ordered boxed lunch and walked through the streets with all our belongings to find our “home” for the night: The National Museum of American Jewish History. After freshening up and celebrating Mass, we hit the streets to find a good spot for watching the Pope drive by on his way to speak at Independence Hall. We quickly realized that our choice of t-shirt would be the cause of some interesting situations, as the official World Meeting of Families Volunteers were also wearing bright orange. 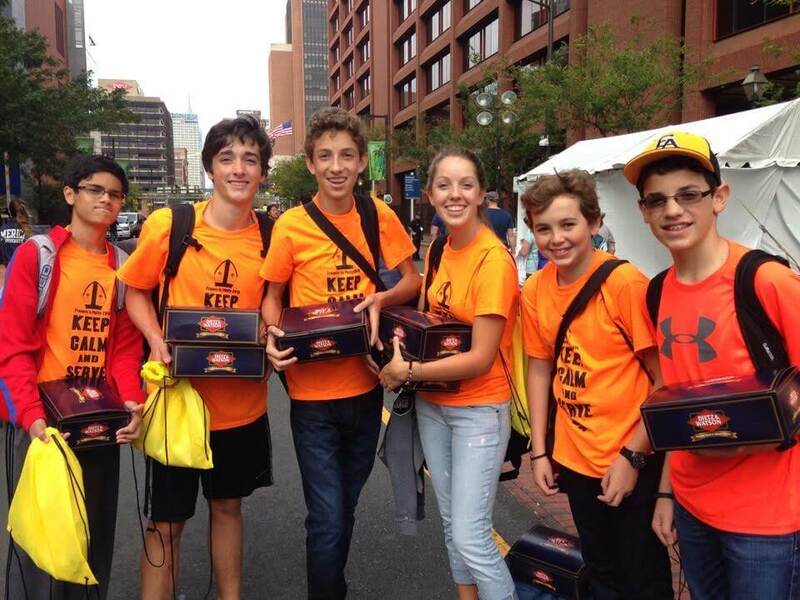 Several people approached us to ask questions, and we’d have to say, “Well, we’re not volunteers, so we’re trying to figure things out too!” Then they’d take a better look at our shirt and compliment us on its design and phrase: “Keep calm and serve on.” That’s why we came: not just to receive, but to give. We came as pilgrims and missionaries, and some of our happiest moments were when we were serving others. 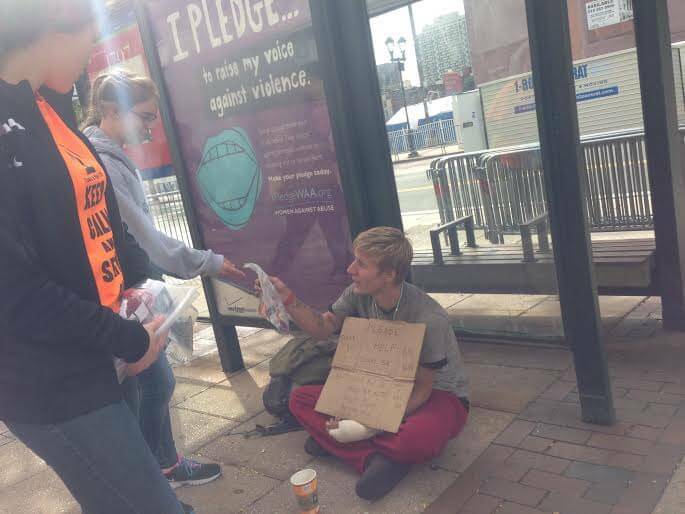 While waiting for over 4 hours, we talked to people around us and tried to spread love and joy by passing out smiley face stickers, motivational and inspirational quotes, and clothes pins with positive messages (ex: “Be not afraid!”, “God loves you!” “Smile!”) on one side and “pass it on” on the other side. It was fun to see people discover a clothes pin on them and then smile before secretly pinning it on someone else. Part of our group found a prime spot, just behind a family who had a baby dressed up like the Pope. Our hope was that this baby would attract his attention and he would stop right in front of us. And that’s exactly what happened! The look on Pope Francis’ face when he saw the baby was priceless! On Sunday morning, we decided to add 2 other dynamics to our urban missions. The first initiative came as a response to the protesters who were shouting out insults to priests and religious sisters. Brother Kevin Gore, LC, (a Formation Instructor at Everest) encouraged the group to stop and give a word of gratitude and encouragement to each priest or sister we saw: “Thank you for saying yes to the call!” “Thanks for your priesthood, Father!” Some of the students added on to this effort by shouting out their gratitude to the various groups of law enforcement they saw along the way: “Thanks for your service!” There was a tangible sense of joy, love, and positivity shared by the majority of people present in the city. 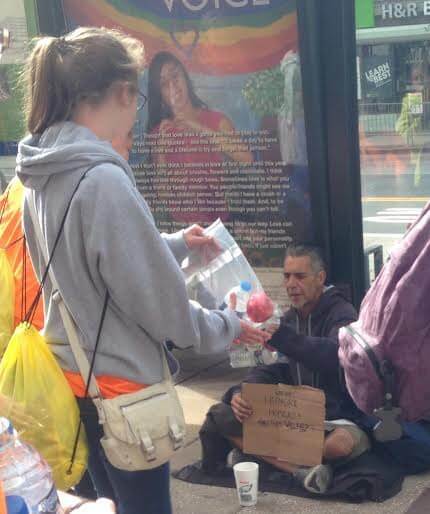 The second additional mission was to hand out our extra food to the homeless we found along the way. Several students were able to talk with those they gave the food to, hear their story, ask them if they had any prayer intentions, and just give them some inspiration. All of this, along with the “smile” and “clothes pin” missions mentioned above, was done on our way to Sunday Mass with the Holy Father (4pm) and while waiting in the very long and slow security line. Though we were tired from lack of sleep and lots of walking and standing, Mass was definitely a highlight. It’s not every day you get to attend Mass celebrated by the Vicar of Christ on earth, along with thousands (millions?) of fellow Catholics. The Church is alive! 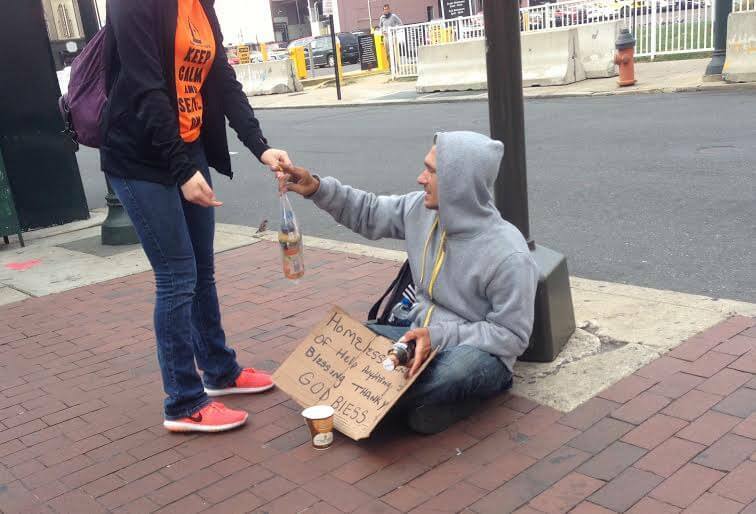 Here are some photos of our students sharing food with the homeless in Philly.